Should I Handle my NC Car Accident Claim By Myself or Hire a Lawyer? Home / Car Accidents / Should I Handle My Car Accident Claim by Myself? It is simple fact of life: All North Carolina drivers need to be prepared for the possibility of an accident. According to North Carolina Division of Motor Vehicles, there were 251,638 collisions reported in the state in a single recent year. These crashes resulted in nearly 124,000 injuries, and tragically, at least 1,380 fatalities. In Mecklenburg County alone there were 27,773 crashes, which resulted in nearly 17,000 injuries. After a crash, you should contact an experienced Charlotte car accident lawyer at Warren & Kallianos. Your attorney will be able to review your claim and determine what needs to be done to protect your legal rights and financial interests. Should I Handle My NC Car Accident Claim Myself? No matter how minor the collision, an auto accident is stressful, frustrating, and all-around confusing. Victims deserve fair compensation, but this can often be difficult to obtain. In fact, in many cases, accident victims may need to take legal action to get a fair settlement offer, but how do you know when it makes sense to hire a lawyer to represent you after a car accident? Seeking professional legal assistance may not be necessary after every type of crash. There are some types of claims that people who were injured in car accidents could handle on their own. For example, if you were in a very minor fender bender and no one was hurt, you may not need a lawyer. However, if you were involved in an accident with serious to severe injuries and time lost at work, you should not attempt to handle your car accident claim on your own. Not only is the North Carolina insurance claims process complex, but the big insurance companies will do everything in their power to limit your financial recovery. Uninsured/Underinsured Motorists coverage. Policies with minimum Bodily Injury and Property Damage limits are required to include Underinsured coverage. Policies with limits greater than the minimum must provide combined Uninsured/Underinsured Motorists coverage. North Carolina is a “fault” state for handling car accidents. That means the negligent party will be held liable for the accident. Negligence is defined as the failure to exercise due care. If your accident was caused by the unsafe actions or inactions of another driver, you can hold him or her legally liable for your damages. More specifically, you can make a car accident insurance claim against that driver’s liability insurance policy. If your damages exceed the liability coverage of the at-fault party, then you can file an underinsured claim with your insurance company if you have available underinsured coverage. If you were hit by an uninsured motorist, then you can file an uninsured motorist claim with your own insurance company. Whether you are filing with your own insurer or against another driver’s policy, making an insurance claim for a car accident is never easy. The insurance adjuster who handles your claim will need to decide on two different issues: fault and damages. In other words, the insurance companies will determine if they believe their insured was liable for your crash and, if so, how much in damages they will need to pay out to you. Unfortunately, insurance companies rarely offer victims a full and fair settlement payout immediately following a major accident. Reaching an appropriate settlement agreement usually requires aggressive negotiations. In some cases, you may need to file a lawsuit against at-fault party to get the compensation you deserve. North Carolina car accident victims should always remember the following: insurance companies are looking out for their own bottom line. They want to make a profit. If they can find a way to limit your recovery, they will do it. In fact, the big insurers have invested a lot of money in training their representatives to use tactics and strategies to push victims into lowball settlements. These companies are staffed with experienced professionals whose number one goal is to look out for the best interests of the company. Even if you are making a claim against your own policy, the insurance company should always be considered an adversarial party in your case. What Can Our Charlotte Car Accidents Attorneys Do for You? You have the choice between filing a car accident claim on your own or availing yourself of the experienced legal services of a Charlotte personal injury attorney who has helped hundreds of clients before you recover more compensation than they could hope to recover on their own. Insurance companies will encourage you to believe that you can negotiate a settlement without the help of a lawyer, while they have teams of attorneys protecting their bottom line. Their goal is to pay you as little as they can get away with to protect their profits. When you decide to put your trust in the skilled Charlotte auto accident lawyers at Warren & Kallianos, we get to work building a strong case for maximum compensation. In many cases, insurance companies will try to limit their financial liability by denying fault or placing some fault onto the victim. For example, an insurance adjuster might try to assign partial fault for the crash to you. This is a major problem in North Carolina auto accident claims. Unlike most states, North Carolina is a contributory negligence jurisdiction. This means that plaintiffs are barred from recovering compensation if they are found to be partially at fault for the accident. If fault is disputed in your case, you need to contact an experienced North Carolina auto accident lawyer immediately. Under the law, victims can recover financial compensation only to the extent that they can prove their damages. To maximize your recovery, you will need strong supporting evidence that documents your losses. Relevant evidence can include anything from pictures of your injuries, to medical bills, to expert medical testimony, to a diary that details your pain and suffering, for example. We will ensure that your losses are properly documented and presented to the insurance company. When we handle car accident claims, we give our clients’ cases the individualized attention that they deserve. Your case file will never be passed around from attorney to attorney. You will work with one of our dedicated professionals throughout the entirety of the claims process. Further, we will handle all interactions with the insurance company’s representatives. We know their tactics, we know their strategies and we know what to do to hold them fully accountable. At the office of Warren & Kallianos, we have extensive experience handling North Carolina auto accident insurance claims. If you or a loved one was injured in a crash, we are ready to help. 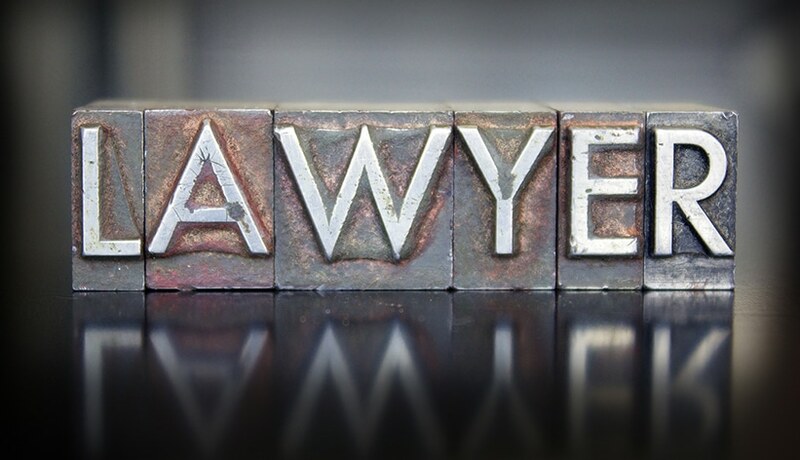 To request your free initial legal consultation, please call 704-275-5593 or contact our team today. From our office in Charlotte, we serve victims throughout the region, including Mecklenburg County, Cabarrus County, Gaston County, Union County, and other counties across the state.